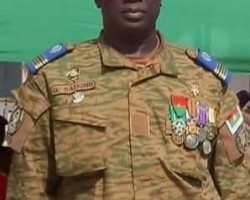 APA-Ouagadougou (Burkina Faso) By Alban Kini — President Roch Marc Christian Kaboré, has introduced some changes at the top of the military hierarchy in Burkina Faso. 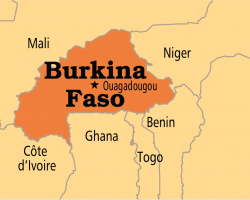 APA-Ouagadougou (Burkina Faso) By Alban Kini — The Burkinabe Defence and Security Forces (FDS) has claimed that 146 militants suspected over the killing of 14 civilians in Kain, a locality in the northern region have been neutralized. APA-Ouagadougou (Burkina Faso) by Alban Kini — The new Prime Minister of Burkina Faso, Christophe Joseph Marie Dabire, who took office on Thursday, has set out his priorities, including a commitment to ensure peace and stability, and revive the economy. 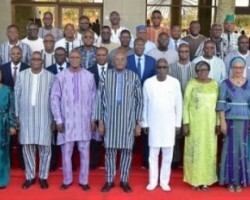 APA-Ouagadougou (B/Faso) By Alban Kini — The new Prime Minister of Burkina Faso, Christophe Joseph Marie Dabire, has named a 32-member cabinet. 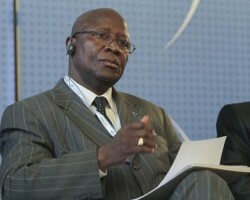 APA-Ouagadougou (Burkina Faso) by Alban Kini — The new Prime Minister of Burkina Faso, Christophe Joseph Marie Dabiré, appointed on Monday, is an seasoned economist specializing in development planning and business management, with a total of 32 years’ experience in Burkina Faso’s administration at the senior level. APA-Ouagadougou (Burkina Faso) by Alban Kini — Economist Christophe Joseph Marie Dabiré has been appointed Prime Minister of Burkina Faso, the presidency announced Monday in a statement. 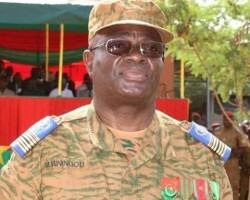 APA-Ouagadougou (Burkina Faso) by Alban Kini — Colonel-Major Moïse Minoungou has been appointed by decree chief of staff of the armed forces (CEMGA) in Burkina Faso, replacing Brigadier General Oumarou Sadou.